Implementing an IT infrastructure library (ITIL) can help organizations trying to get a better handle on IT services and resources. But ITIL's just a framework. One size does not fit all. In fact, you might not need it at all Here are seven questions to ask to find out if ITIL's right for you. Many organizations turn to the IT Infrastructure Library (ITIL) to better manage how IT services and technology are delivered to users. But ITIL is not a one-size-fits-all solution. In some cases, you might need to customize ITIL to the needs of your organization or you might not need ITIL at all. How can you decide? "First of all, don't start by saying, 'We're implementing ITIL.' In some organizations that have tried and failed, it can be a four-letter-word. You need to emphasize that you're trying to focus on getting better results and outcomes from IT, and on improving service management. ITIL is a framework, and you have to adapt and modify it to the needs of your own IT organization," says Gary Case, principal consultant with ITIL/ITSM training, education and consulting company Pink Elephant. In a session at the Pink16 ITIL/ITSM conference, held last month in Las Vegas, Case lays out seven questions to ask before you get started. 1. What problem(s) are we trying to solve? The first thing to ask yourself is, "What problem are we trying to solve?" If the answer's not clear, then ITIL isn't going to be a solution, says Case. Are you trying to improve customer relationships? Address a poor requirements-gathering process? Implement a better change management or incident response and management procedure? Maybe the problem is that your IT department isn't even sure what it is they are providing to customers in the first place, Case says. "When I'm brought in on a consultation, this is always the first question I ask. And if no one can answer that for me, then I'm not going to be much help. Everyone in an organization, from the top executives to the lowest-level IT professional has to agree on what the problem is. Sometimes ITIL is the answer; sometimes it's not. I've seen too many executives try and implement ITIL out of the book without knowing that it must be purpose-built to address the problems in your unique organization, to be modified to take advantage of other frameworks like agile or lean, and that's almost a guarantee of failure," Case says. Case suggests making sure that every department first understands the business strategy and the use cases involved in IT decision making so that they can more effectively focus on improving outcomes and aligning IT with the larger goals of the business, with or without ITIL. "I think 100 percent of the people who work in an IT department should have access to the business goals and strategy, but how often do IT teams have any idea what the business strategy is? If you're going to focus on outcomes and results from the business level, you have to provide that information to make sure business and IT are aligned," Case says. 2. What's the rationale for ITIL? What's your rationale behind implementing ITIL? What are the specific areas where change is needed? Many organizations turn to ITIL because their IT departments have been strictly focused on technology acquisition and integration without understanding the larger value of these solutions. "This involves identifying why you really need to change - maybe you've been tech-focused and siloed within the department; now you need to focus on the value stream all the way from development to operations to management to executive level, and see where there can be improvement. Customers don't care if a server fails or the network or an application is down, they just care if the technology works so they can get the results they want. You have to think about your networks, your applications, your servers, your people, your processes - everything - as an end-to-end value stream," Case says. Anything that interrupts that value stream could be considered a rationale for a shift to ITIL and IT service management (ITSM). 3. What is our route to continual service improvement? Continual service improvement (CSI) involves understanding where an organization wants to be at a governance level, from a customer service standpoint and from an operational viewpoint, says case. To determine the best way to get there, you first have to understand three things: existing competencies, existing capabilities and what processes support those, he says. "This is the first place to start talking about what skills and competencies you already have versus what you are going to need to drive CSI; there's a third piece here which is monitoring and measuring. Aligning existing competencies and capabilities with your business goals and strategy is one thing, but you have to be able to say, 'Did we get there?' and if you did, how do you keep doing that; if you didn't, where can you improve processes, people or technology to achieve that," Case says. 4. What is the scope and scale of this ITIL project? Instead of trying to implement a sudden, across-the-board change, it's better to spend some time on a careful implementation strategy, Case says. Rolling out ITIL to parts of your IT organization where it can make the greatest impact first will make it easier to expand organically. "Don't try to boil the ocean. This is all about people, processes and technology, so you have to see where you can make the biggest impact and start there. You need to have a deep and broad understanding of your organization and the typical rate of change within it - it takes a lot of coordination and education. This is as much about culture change and behavioral change as it is about technology, so if you can, start small - with maybe one person at a time - and then move up the chain to addressing teams, then larger departments and finally the entire organization," Case says. 5. Does it work as intended? If you've introduced a new tracking, monitoring or service management technology tool, you probably already know that you need to test it to make sure it's working as needed. But don't stop there, says Case. You need to follow the same testing and measurement procedures every time you introduce a new process, too. "You have to send things through and look at everything collectively to make sure you get the outcomes you need. You also have to determine if those outcomes match up with your objectives - is this new tool or process helping to achieve what you're really trying to accomplish? 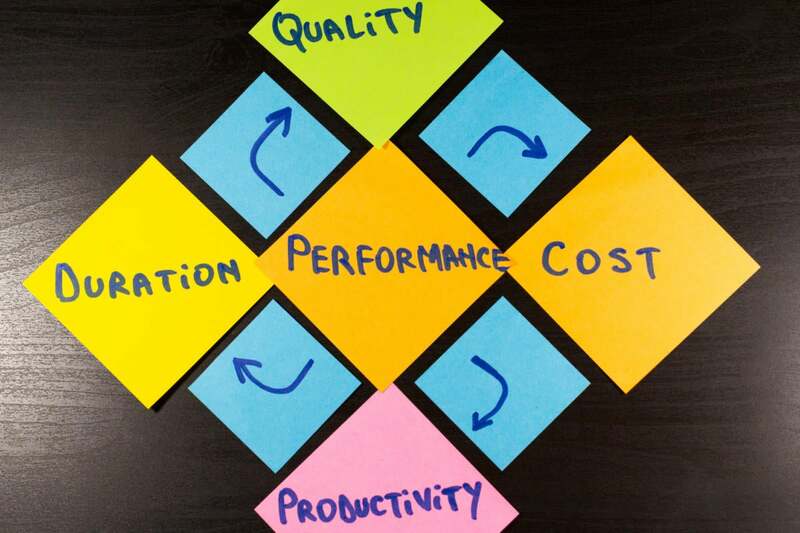 This involves determining what you're looking for in terms of key performance indicators (KPIs) and critical success factors (CSFs), which should be in place as early as the design phase, and then start small with metrics - you don't need to measure everything; only the KPIs and CSFs that are directly aligned with your objectives," Case says. 6. Do we even need ITIL? Once the previous five questions have been answered, you may want to take a step back and ask, "Is ITIL the answer we're looking for?" You may be surprised to find that there could be other ways to address IT organization pain points, says Case. "If you have pain points, you definitely want to address those effectively, but there are different solutions for different problems. Are you having trouble addressing customer needs? You might need to look at business relationship management (BRM). Are there breakdowns in service delivery or availability? You should look at your service-level agreements (SLAs) and figure out where things are breaking down. But also remember to look at where you're doing well - look for improvements in all areas of the service lifecycle. Looking for both problem areas and opportunities to further improve is what ITIL is all about," he says. Finally, review and revise at regular intervals, Case says. This is the best way to track how these initiatives are progressing and how they are impacting your IT department. "I like to do a 30-day quality audit to help organizations look for improvement and point out places where they need further work, mentoring and training. Then I'll also do a 90-day audit to assess the progress they've made a bit further out. Remember, too, that you're going to get what you 'inspect,' not just what you 'expect,' so you have to stay on top of it and make sure you're encouraging compliance. What gets rewarded gets done. If you're implementing a new process, you have to reward that. If you are still 'rewarding' the old way, then that's what you're going to get. A reward can be as simple as a thank-you," Case says.